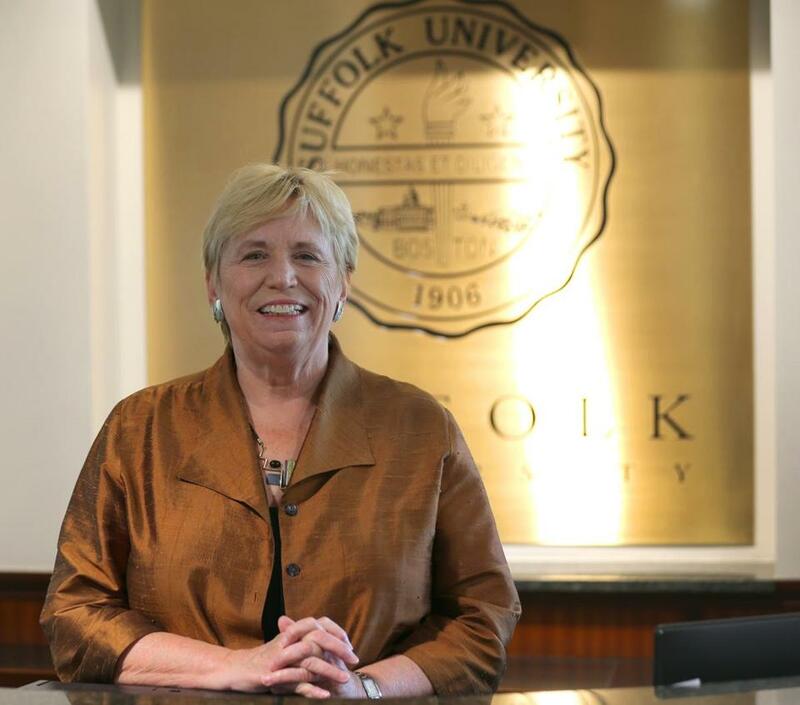 Suffolk University president Margaret McKenna says she won’t resign. She said she’s “committed to the school” and planning to stay. Suffolk University trustees on Saturday openly criticized imperiled president Margaret McKenna, saying the newly installed leader made unauthorized expenditures and hires and has an “abrasive” manner. The critique came a day after trustees Chairman Andrew Meyer sent McKenna a letter warning her against speaking out about her situation, and telling her not to use school resources to try to save her job. It was the latest development in an open standoff between McKenna and some trustees that began Thursday when one trustee privately asked her to resign. McKenna has refused to comply, telling the Globe on Thursday she is “committed to the school” and planning to stay. Trustees are scheduled to meet Friday and vote whether to oust McKenna after seven months at the helm and possibly install former state attorney general Martha Coakley, who has been silent on the matter. Meyer and four other trustees Saturday said they are unhappy with McKenna because her financial decisions have put the school on track to run a deficit this year for the first time in years. 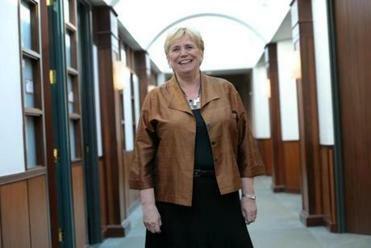 Margaret McKenna, president of Suffolk University, said she would not resign amid reports that trustees are moving to replace her. “There were problems and we’re an independent board and we have an obligation to oversee [the school] and we’re investigating,” Meyer said in a phone interview Saturday. McKenna on Saturday did not respond to the board’s accusations. Her job is on the line after trustee Mark E. Sullivan told her Thursday that Meyer had enough trustee votes to fire her. Many students, professors, and alumni have rallied in support. A crowdfunding website has been created with the goal of purchasing a full-page ad in the Globe voicing frustration with trustees. Trustees on Saturday said McKenna overspent when she extended the lease for a college building in Beacon Hill by six months, which they said will cost $2.3 million, and struck a $670,000 marketing deal with the Globe without their authorization. She also hired eight employees, including a chief of staff and assistant chief of staff, without their approval, they said. The president on Friday received a letter from Meyer and Sullivan warning her to refrain from using school resources, including the services of school spokesman Greg Gatlin, to sway trustees or reveal board business in any way. A person close to McKenna said the board has not brought these concerns to her directly. “At no time had the board raised any of these as matters of concern to her role as president,” the person said. Meyer and William T. Hogan III, chairman of the board’s finance committee, said the purchases have for the first time in recent history put the college on track to run a $2.4 million deficit even with a higher-than-normal $6.8 million draw on the endowment and a $2.5 million hiring freeze. “We come in the red and it will have an effect on the bond rating,” Hogan said. Hogan also said McKenna has not yet raised a million dollars, even though the school budgeted $3 million in giving this year. Despite repeated requests, board members refused to furnish proof of these figures, citing the advice of their attorney, Henry A. Sullivan, of the firm Mintz Levin. College financial records show the university has indeed achieved annual surpluses in recent years. But the school also has a less-than-optimal Baa2 bond rating from Moody’s Investor Service because it depends almost entirely on student tuition for revenue and has a high level of debt compared with its operating budget. Sullivan, who coauthored the cease-and-desist letter with Meyer and chaired the search committee that tapped her in May, said initially he thought she would be good president. “From my standpoint, the concern is mostly the behavior,” Sullivan said. Asked if McKenna was first warned about the expenditures or her style, or given time to improve the situation, Sullivan said he was not sure. “This board has worked really hard to get the finances of the university back on track,” she said. Meanwhile, professors and students are planning events to show their support of McKenna and taking to social media with the hashtag #SU-StandsWithMcKenna. They have planned a forum on campus at 1 p.m. Tuesday to rally in support of McKenna. “The board is showing their disconnect not only to the students, but to higher education as a whole,” said Martha Alvarado, a 2013 graduate of Suffolk from Chelsea.